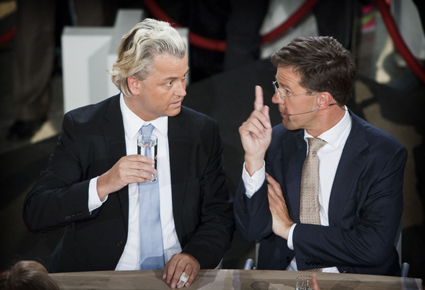 When Dutch voters tune into tonight’s debate — the second in advance of the September 12 parliamentary election — they will be watching closely the man who was deemed to be the winner of last week’s debate. 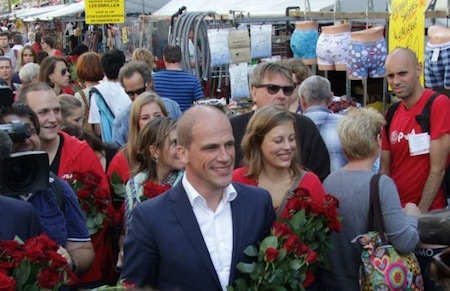 That’s Diederik Samsom, the leader of the social democratic Partij van de Arbeid (PvdA, the Labour Party), is riding a wave of popularity, with Labour rising very narrowly in the polls and with indications that Dutch voters may be giving Samsom his first real look as they contemplate doubts about Emile Roemer, the popular leader of the Socialistische Partij (SP, the Socialist Party). 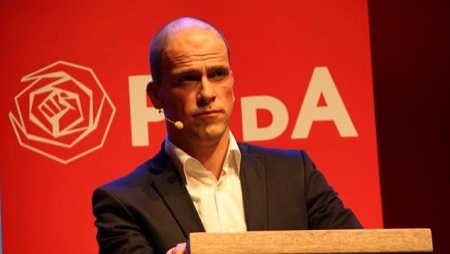 A former Greenpeace activist who once studied nuclear energy and physics, Samsom has been a Labour member of the Tweede Kamer, the lower house of the Dutch parliament, since 2003, and has served as the party’s spokesperson for environmental issues. Hailing from the left branch of the Labour Party, Samsom opposed extending the Dutch military presence in Iraq in 2004 in defiance of much of his own party. 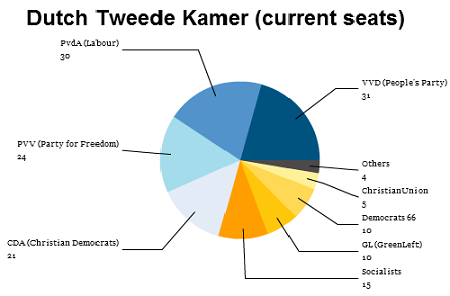 The Labour Party currently holds the second-largest number of seats in the Tweede Kamer — 30 seats to 31 for the party of prime minister Mark Rutte, the the Volkspartij voor Vrijheid en Democratie (VVD, the People’s Party for Freedom and Democracy). 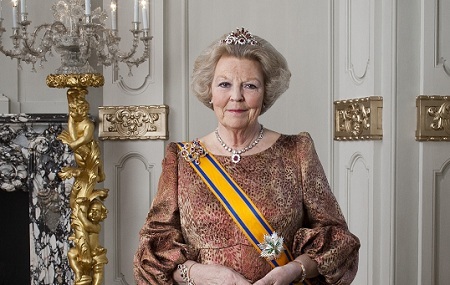 Europeans, including the Dutch, may well be unplugged and disengaged this month. But ready or not, September 12 is nearly a month away, which means yet another European election — this time in the Netherlands, one of the six founding members of the European Economic Community in 1957, that body would develop into today’s European Union. 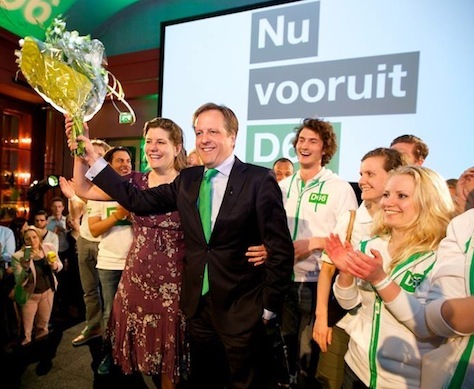 Dutch voters will elect 150 members to the Tweede Kamer, the lower house of the parliament of the Netherlands. 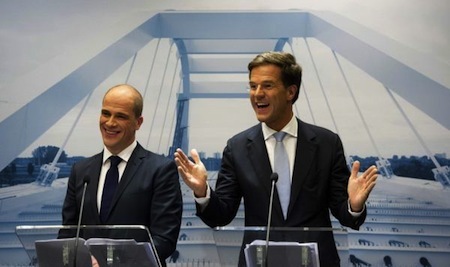 And today, after years of elections on social issues, the Dutch parliamentary election is poised to be fought, won and lost on one issue: budget austerity and bringing Dutch fiscal policy in line with the European ideal. Given what we’ve seen this year all across Europe — the success of Alexis Tsipras’s anti-austerity SYRIZA coalition in Greece, the emergence of the anti-austerity Victor Ponta in Romania and the surge of Jean-Luc Mélenchon’s Front de gauche in the first round of the French presidential election — it’s no surprise that the breakaway pace-setter in the Dutch election has been not any anti-Muslim group, but the Dutch Socialistische Partij (SP, the Socialist Party), led by Emile Roemer. 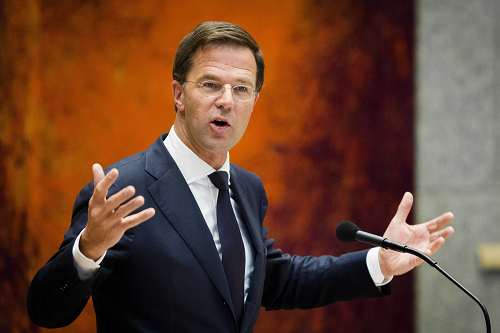 As I noted last week, the prior 2010 election saw unprecedented levels of fragmentation among the Dutch electorate, and it led to six months of talks before a governing coalition emerged — Mark Rutte and his free-market, liberal Volkspartij voor Vrijheid en Democratie (VVD, the People’s Party for Freedom and Democracy) ultimately formed a weak minority government in coalition with the once-strong, now-withering center-right Christen-Democratisch Appèl (CDA, Christian Democratic Appeal), with outside support on a vote-by-vote basis from Geert Wilders’s right-wing populist and anti-Muslim Partij voor de Vrijheid (PVV, the Party for Freedom). Rutte’s government fell in April when Wilders denied his support for a budget that would have reduced the Dutch budget deficit to just 3% of GDP next year. 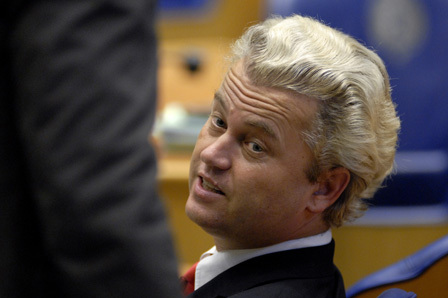 In the current campaign, Wilders has attempted to deploy anti-Europe sentiment with as much gusto as he previously deployed anti-Muslim sentiment in 2010 (including wild rhetoric that would pull the Netherlands out of the eurozone). 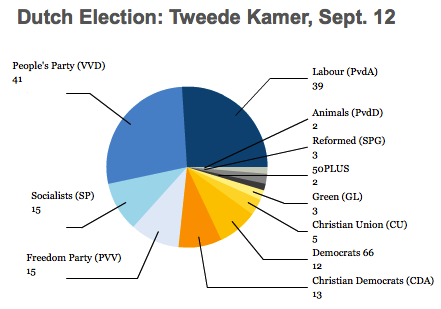 But according to the latest IPSOS poll, both Wilders’s PVV and the CDA are sinking. Even though Rutte’s VVD is holding steady as the top vote-winner, Roemer’s Socialists have vaunted into second-place — and are gaining. 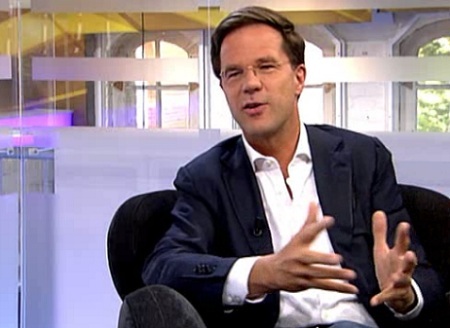 Currently, the Socialists are projected to take 29 seats to 35 seats for Rutte’s VVD. 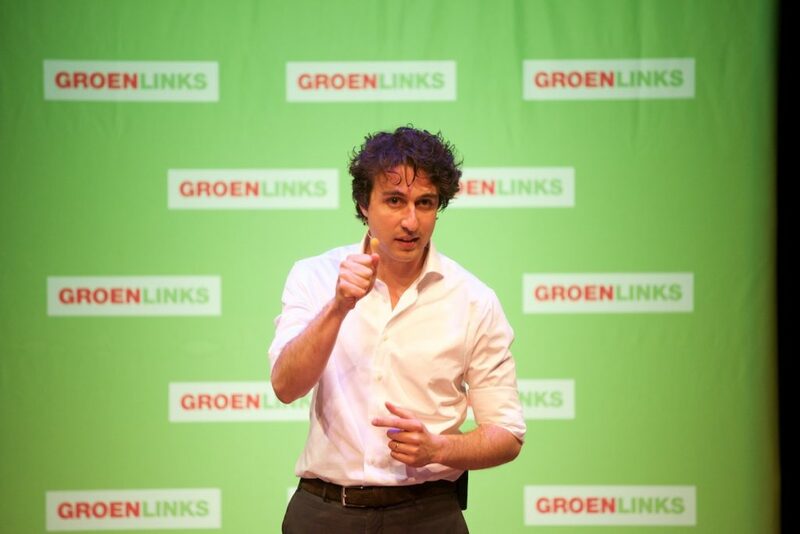 Other polls, moreover, give the Socialists a lead or put them in a tie with the VVD. What does that mean? 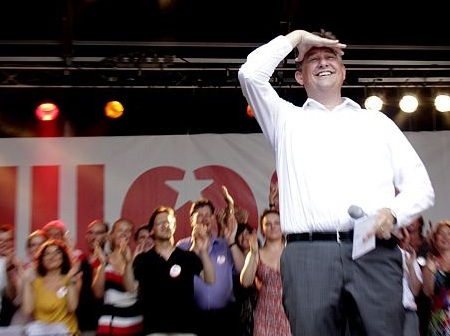 Even if the Socialists cannot form a coalition with, say, the longtime center-left Partij van de Arbeid (PvdA, Labour Party), which is currently polling in third place (projected to win 23 seats), the Socialists will nonetheless be a force to be reckoned with as never before. 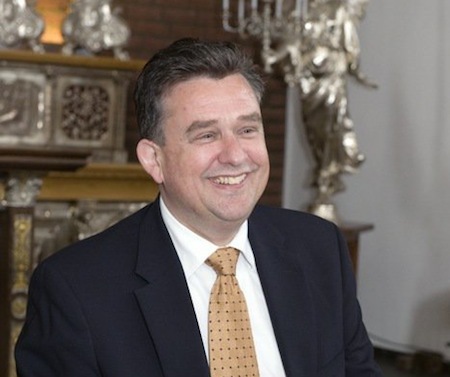 And that means Emile Roemer will become a key power broker in Dutch — and European — politics. So who is Roemer — and what can we expect from him? Roemer remains a bit of a blank slate within the international media — for now, at least.